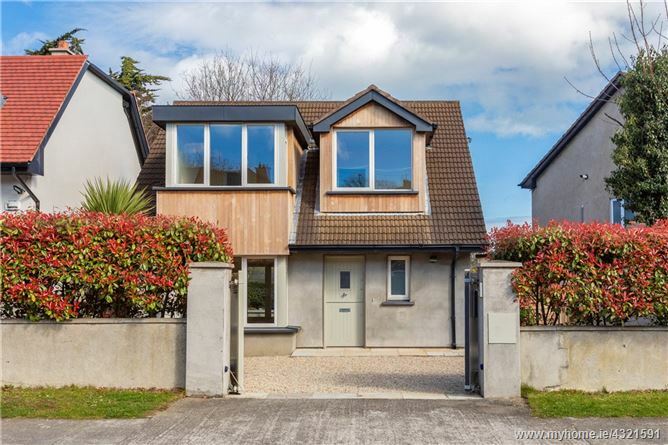 A very high spec 4 bed, 3 bathroom, detached dormer bungalow built circa 2008 extending to approximately 118sqm (1,270sqft) superbly located within a short walk of Blackrock and Stillorgan Villages, benefitting from a low maintenance, landscaped and paved rear garden and a gravelled, secluded front garden with off street car parking. Outside there are plastered boundary walls to sides with high hedge to rear and front with automated electronic gates. Fiberglass roof with cedar clad dormers front and rear, PVC fascia and soffits and Rationel double glazed windows throughout. 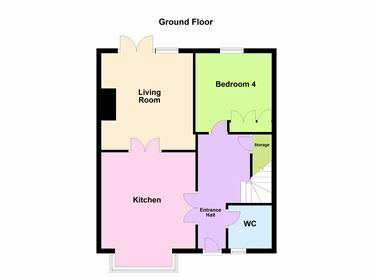 Internally the accommodation comprises a welcoming reception hall with downstairs shower /wet room, ground floor double bedroom, kitchen/dining with glazed folding doors opening through to the living room with glazed screen and double doors giving direct access to the rear patio and garden. 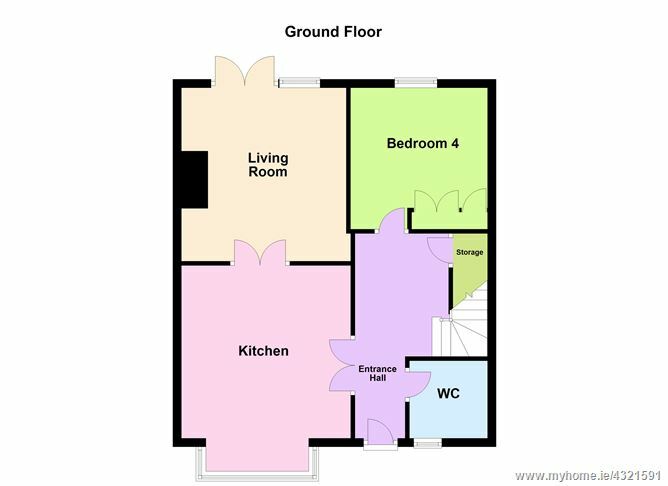 Upstairs there are three generous bedrooms with the master bedroom ensuite and the main house bathroom. The property is located in one of South Dublin's most popular and desirable locations, in a tranquil neighbourhood within easy reach of every conceivable amenity. There are many excellent, well established schools close by, including Scoil San Treasa, Oatlands College, Carysfort National School, Mount Anville, Sion Hill, Coláiste Eoin/ Íosagáin, St Andrews, and Blackrock College. UCD Belfield is a short distance away, as are major shopping centres at Blackrock, Stillorgan, and Dundrum. 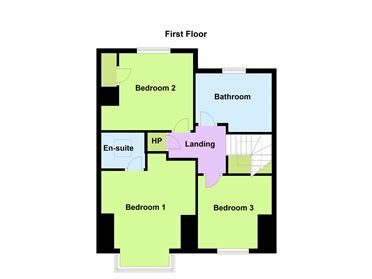 There are excellent transport links on your doorstep, including the N11, the QBC, and the Aircoach provide easy access to the city centre and the airport. The M50 is within easy access, as is the DART in Blackrock, and the LUAS at Leopardstown.